We agree; your customers need to be treated as more than just clients. They are individuals with unique preferences and service requirements. Keeping track of their personal details make them life-long customers. Boulevard can help you manage every aspect of your relationship with your customers: their birthdays and anniversaries, how often they buy a particular product, even products they've tried and added to their "wish list". And with a little help from Boulevard, they come back to you because you give them the extra special customer service they deserve! We want you to be able to spend your time selling products instead of managing your inventory. Boulevard contains powerful features that automate all the product-related tasks you do for your business. Your inventory on-hand amounts are updated automatically as they flow in and out with orders, invoices, returns, and replacements. We understand that sales is one of the most important aspects of your business. Boulevard is designed to make tracking, recording, reviewing, and staying on top of your sales convenient and easy. 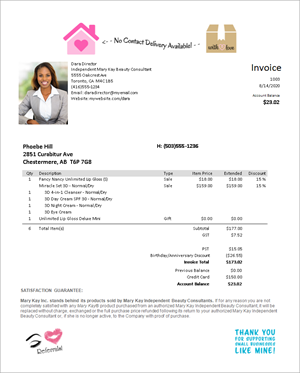 Boulevard creates professional custom invoices you can print or email. Each time an invoice is generated for a customer everything is updated throughout Boulevard — sales history, inventory, account balances, and more. When you're ready to file taxes, Boulevard makes it a snap by recording all of the important information needed. Just print a few reports, and you're done! We can all use a little help with time management. With Boulevard, it has never been easier to have all of your appointments and follow ups in one place! The calendar in Boulevard works seamlessly throughout the program automatically generating important action items, such as customer follow-up calls and birthday or anniversary reminders. Keep your time organized, whether it's a personal appointment or business-related. You can add and color code your own appointments and tasks. Boulevard simplifies all aspects of your money management in as much detail as you want, so you don't have to. View how much you spend on postage, how much you have in outstanding credit card receivables, the breakdown of all payments in your last bank deposit, or even your estimated gross profit for each hour you worked! We are proud to provide you with the finest software for your business. We're here to encourage your success with Boulevard and in turn your business. Our goal is to provide you with knowledgable support. 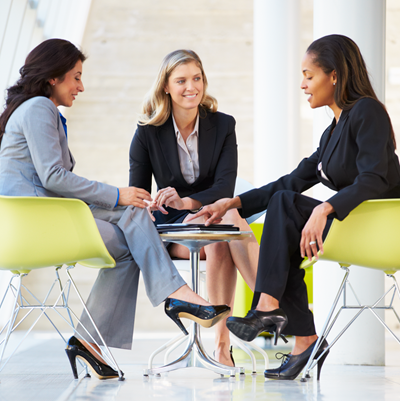 Our representatives understand your business completely and are dedicated to your success! These are minimum requirements only. Boulevard may run on different systems, however, the performance may be an issue. Microsoft no longer supports Windows XP, therefore we do not recommend or support running Boulevard on it. Broadband connection (such as DSL, cable modem, fiber, wireless, satellite, or BPL) to install program software releases and product updates. Please Note: We do not offer a Mac version of Boulevard. To use Boulevard on a Mac, it requires emulation software such as Boot Camp, Parallels, or VMware Fusion to be installed.